Banana pancakes - 2 ingredient Banana pancakes recipe without flour. 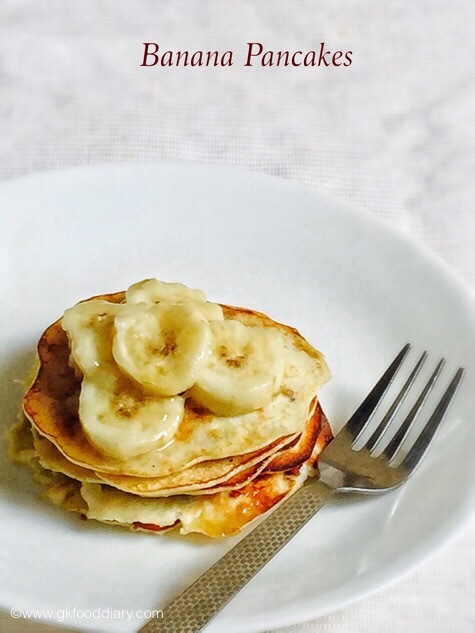 Easy and healthy banana pancakes with eggs for babies & kids. Take banana & eggs. Mash the bananas well with your hand or fork. Beat the eggs well along with bananas using a whisk to a smooth mixture. Keep it ready. Heat a tawa or iron skillet, add a small laddle of pancake mix to it and spread it to form a thin circles. Don't spread too much. Sprinkle oil or butter. Cook until brown on one side for five minutes and flip the pancakes carefully. Cook for a minute and remove from tawa. Repeat the same process for the remaining mix.